Craig A. Davis, a professor in the Natural Resource Ecology and Management Department at Oklahoma State, will be the guest presenter at the April 15 meeting. Craig received his B.S. in natural resources with distinction in wildlife management from Ohio State University in 1988 and his M.S. in wildlife biology from Iowa State University in 1991 where he studied the ecology of wet meadow invertebrates and sandhill crane foraging ecology. He completed his Ph.D. from Texas Tech University in 1996 where he studied the ecology and management of shorebirds in the Playa Lakes Region of Texas. Following his Ph.D., Craig spent a year as a temporary faculty member at the University of Rhode Island and four years as the avian ecologist for the Platte River Whooping Crane Trust in central Nebraska. 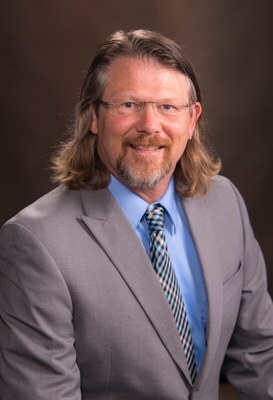 Craig is currently Professor and Bollenbach Chair in Wildlife Management in the Natural Resource Ecology and Management Department at Oklahoma State University. He has published 80 peer-reviewed articles in a wide variety of journals including Ecological Applications, Journal of Applied Ecology. In 2013, Craig co-edited a three volume book on Wetland Research Techniques. Craig’s research has focused on several research areas including the response of grassland birds to fire-grazing interactions, assessment and classification of wetlands, wetland bird ecology, aquatic and terrestrial invertebrate ecology, and upland gamebird ecology and management. Craig currently teaches two undergraduate courses (Wildlife Management Techniques and Wetland Ecology and Management) and one graduate course (Wetland Wildlife Ecology). Our meetings are held September through June on the third Monday of each month (with the exception of January, when the meeting is held on the fourth Monday). Meetings begin at 7 p.m. Visitors are always welcome. Our meetings are held at the Will Rogers Garden center, located at the intersection of NW 36th Street and I-44. 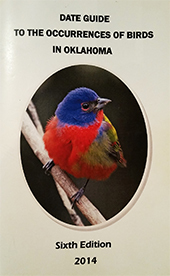 During the Oklahoma City Christmas Bird Count for 2018 a respectable 110 species were counted including a total of 154,981 birds! Click here to view the list. 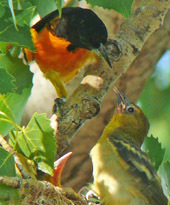 The Oklahoma City Audubon Society is neither a chapter of, nor affiliated with, the National Audubon Society.